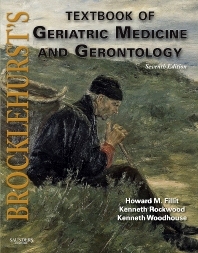 Popular with generations of practitioners, Brocklehurst's Textbook of Geriatric Medicine and Gerontology has been the definitive reference of choice in the field of geriatric care. The new 7th Edition, by Howard M. Fillit, MD, Kenneth Rockwood, MD, and Kenneth Woodhouse, carries on this tradition with an increased clinical focus and updated coverage to help you meet the unique challenges posed by this growing patient population. Consistent discussions of clinical manifestations, diagnosis, prevention, treatment, and more make reference quick and easy, while over 255 illustrations compliment the text to help you find what you need on a given condition. Examples of the latest imaging studies depict the effects of aging on the brain, and new algorithms further streamline decision making. Expert Consult functionality—new to this edition—further enhances your reference power with convenient online access to the complete text and illustrations from the book. Emphasizes the clinical relevance of the latest scientific findings to help you easily apply the material to everyday practice. Features consistent discussions of clinical manifestations, diagnosis, prevention, treatment, and more that make reference quick and easy. Includes over 255 illustrations—including algorithms, photographs, and tables—that compliment the text to help you find what you need on a given condition. Provides summary boxes at the end of each chapter that highlight important points.